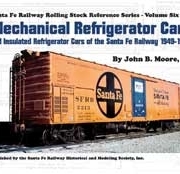 On August 1, 1899, the Santa Fe and the Colorado and Southern began operating the Santa Fe’s line between Denver and Pueblo in a truly joint and integrated fashion. 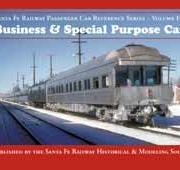 The two companies envisioned that the employees of the line, whether from the ATSF or the C&S would be employees of the new Joint Line. In 1918 the USRA nationalized the nation’s railroads and brought another player to the Joint Line. 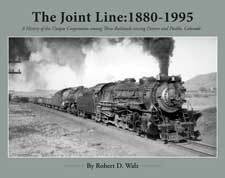 The Santa Fe’s and Rio Grande’s main lines basically paralleled each other between Denver and Pueblo, and the USRA forced the two to operate as a single, double-track railroad. 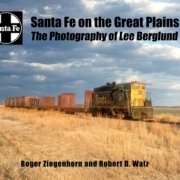 When the USRA handed the railroads back to private ownership, the ATSF and D&RGW decided to continue to operate the two lines as if they were a single, double-track railroad shared with the C&S. From that time until the BNSF merger in 1995, the three involved railroads both cooperated and competed with one another. 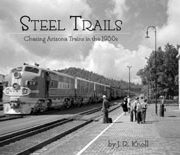 The book is richly illustrated with track charts and over 250 period views (over 80 in color) including the work of Otto Perry as well as contemporary photographers.